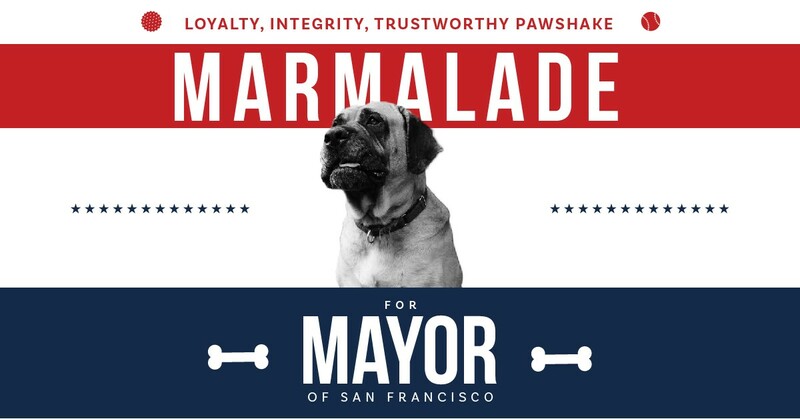 New Polling Shows Marmalade Support Surging! Remember, with rank choice voting, you can write in Marmalade for your 1st, 2nd or 3rdchoice. If you’re not happy with any of the two-legged options out there, take a chance and write Marmalade in for ALL THREE Choices! Sure this is risky and it might mean that none of your votes will matter – but do you think your vote matters now?